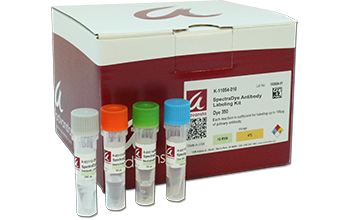 Visibility Increases with Near IR Antibodies - Advansta Inc.
Want to have secondary antibodies visible in a kaleidoscope of wavelengths at your disposal? Advansta is working on that. 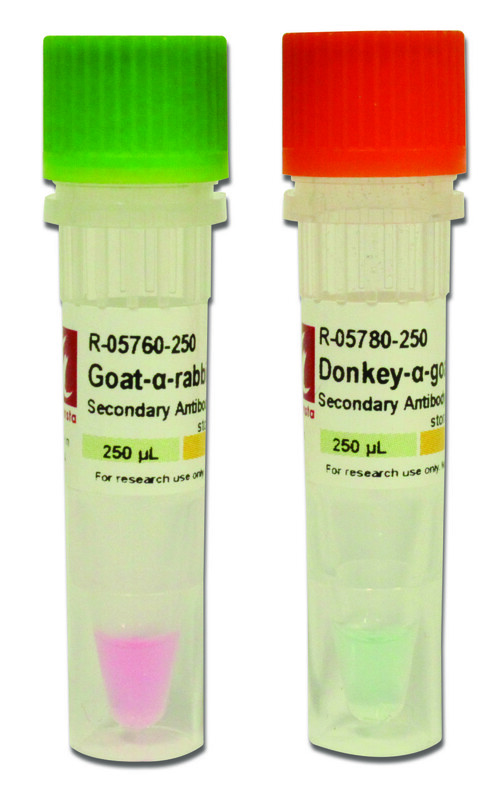 The company is proud to announce the release of near IR antibodies to join its array of quality secondary antibodies. Near IR antibodies can be used for immunoblotting, multiplex imaging, ELISA assays and microscopy with any instrument that has near infrared excitation and emission capabilities. 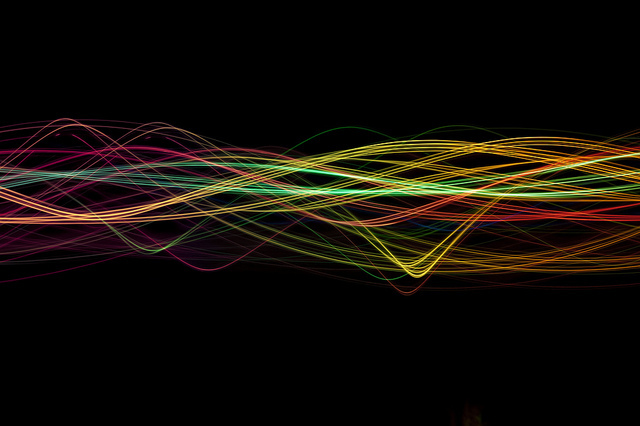 They are particularly useful for simultaneous multicolor imaging because they offer a separate, narrow, distinct emission spectra with little to no cross-over between fluorophores. Near IR antibodies also have a higher signal-to-noise ratio due to low background autofluorescence in the near infrared wavelength. This results in enhanced sensitivity and better detection of low abundant antigens. 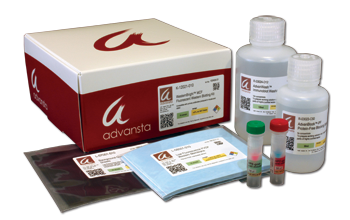 Advansta has just added IR700 and IR800 dyes to its line of secondary antibodies. Each is available in 6 different species specificities. So why not widen your visual field and give these antibodies a try? You never know what you might see.